Image extracted from the museum's website. If you, like our family, are curious about history and archaeology findings, you will certainly not want to miss the latest exhibit at Artscience Museum. 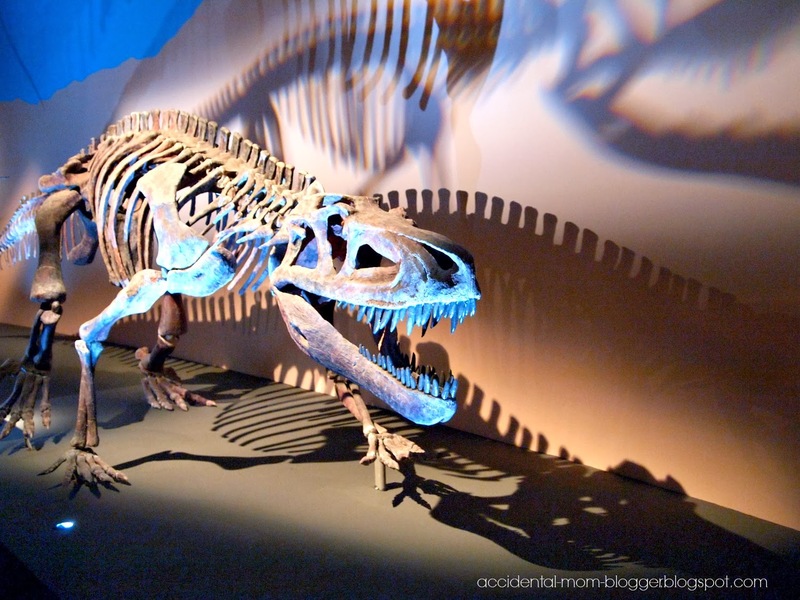 "Dinosaurs : Dawn to Extinction" gradually takes us back in time, journeying through 600 million years to the Triassic, Jurrassic and Cretaceous prehistoric periods. 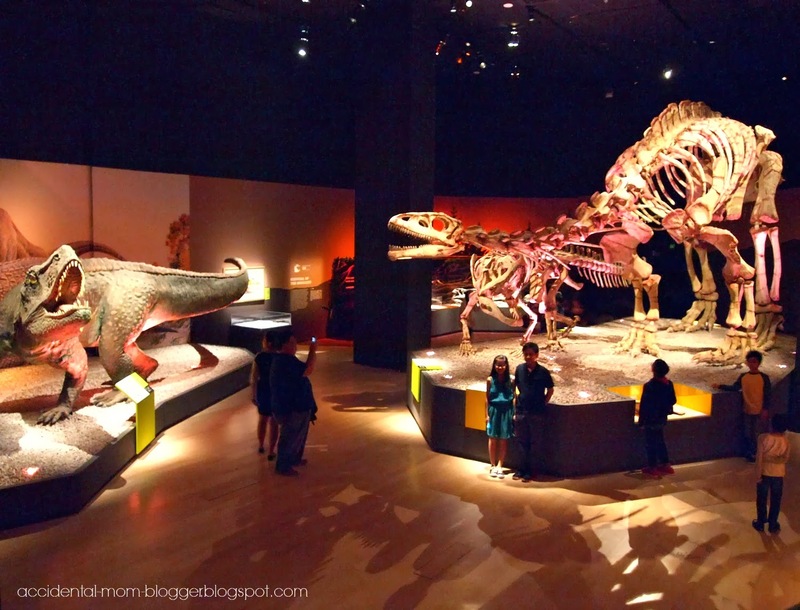 It is the largest dinosaur exhibit in South East Asia. We had an excellent docent guide, Anita, who brought us around the exhibition. 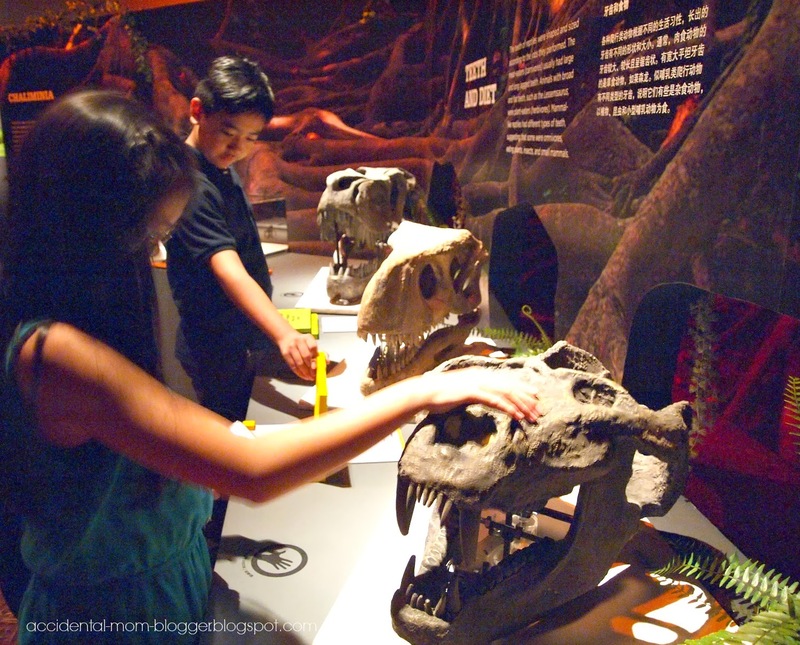 My children followed her closely and listened intently as she shared stories and fascinating facts of the world of dinosaurs, as we relive the dinosaurs' natural environment on earth with each showcase. It was made even more interesting for my children with a free interactive mobile app for iphone and android users, to uncover more facts and visuals during our journey. There was never a dull moment! 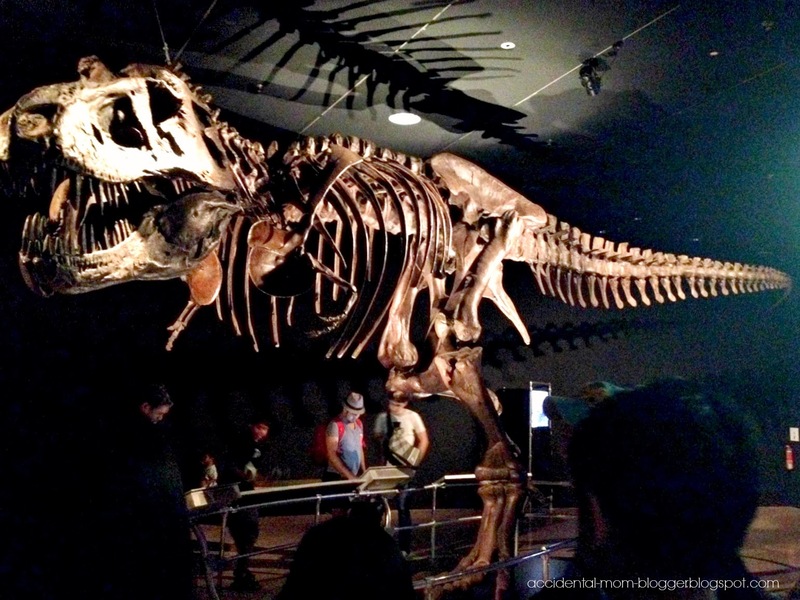 We were awed by the life sized replicas and fossil displays which were centred throughout the exhibit. This gallery of a battle scene, is probably the most breath-taking, with it's dramatic atmosphere. I was also very intrigued with this particular section, where Anita shared how these fossils (below, encased) were discovered and kept intact despite going through rough terrain obstacles, before it was shipped to Singapore. The whole process was sponsored by ArtScience Museum as the fossils makes it's debut appearance here. A major wow. 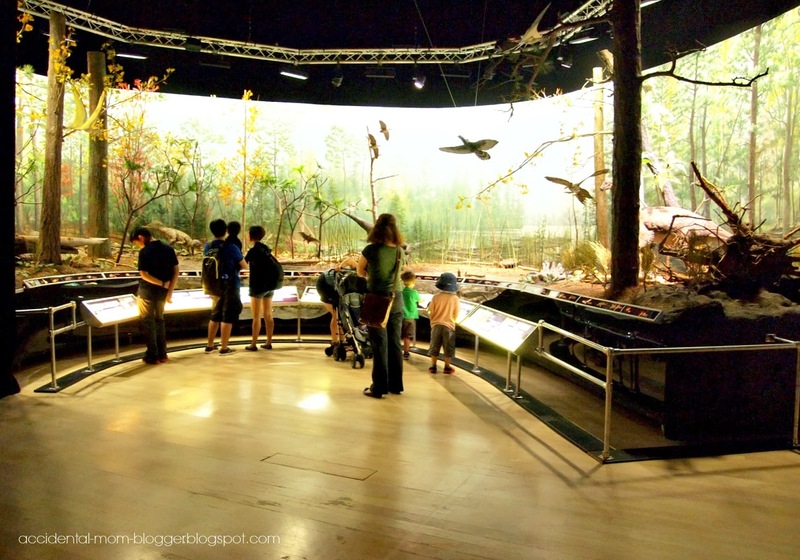 In selected galleries, depicting the different prehistoric periods, there are also touch and feel settings to engage the adults and children alike, to discover more about the dinosaurs. 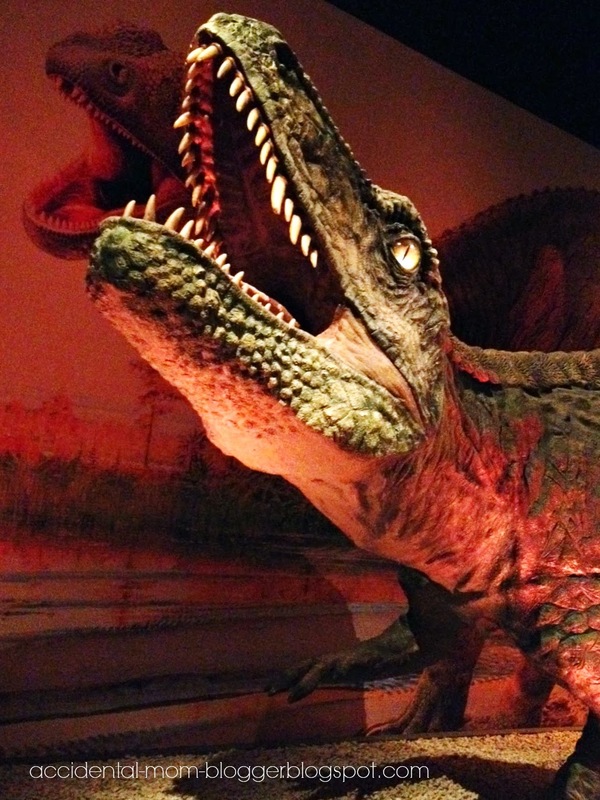 And what's a dinosaur exhibit without the much loved T-rex? We learned from Anita that humans are able to outrun the T-rex, if ever such circumstance is called for. It seems they can only run for up to 16 km/hour. That's when many will ask how is it so when in the Jurrasic Park movie, it almost outruns the jeep? Well, Anita says "That's Hollywood for ya!" 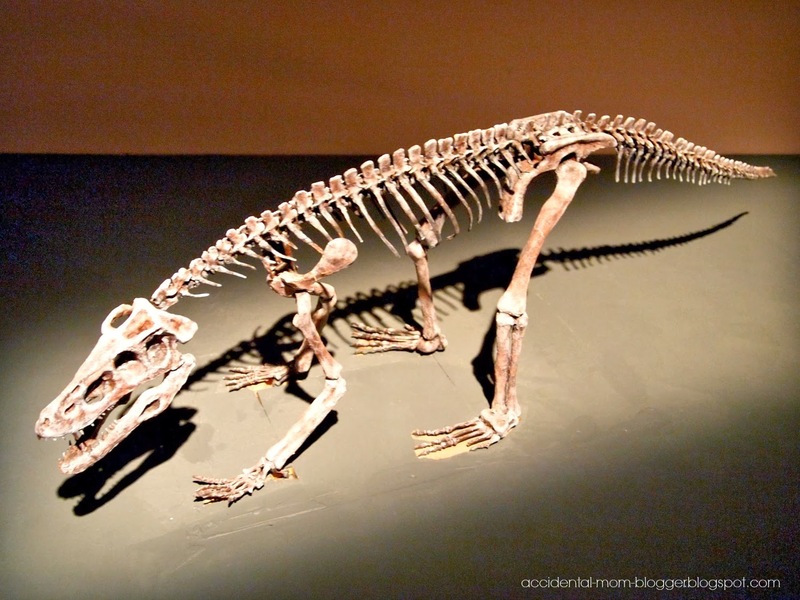 One of the final exhibits to mark the end of the dinosaur era. A display of the Liaoning Forest in China, where biodiversity takes place and prosper in land, air and sea. 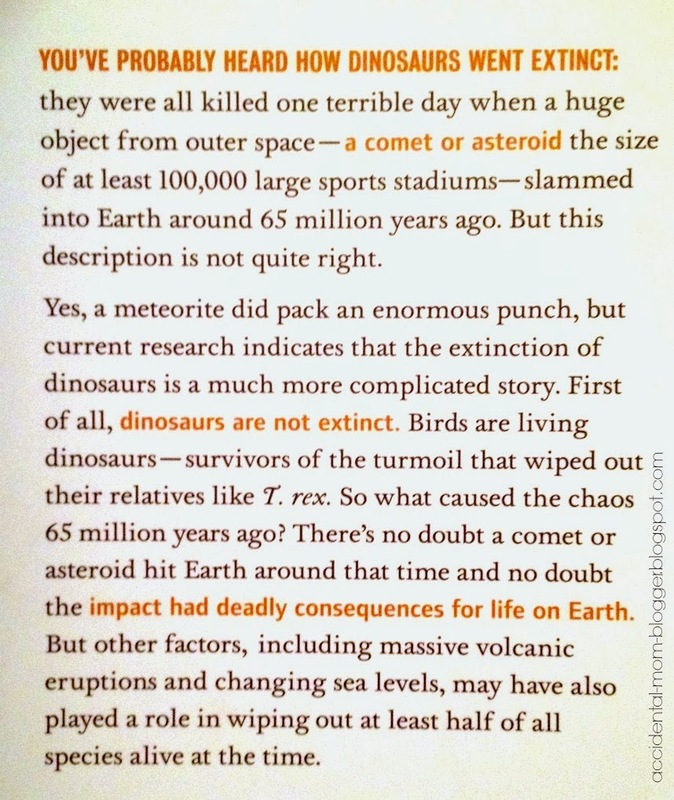 We also finally learned the truth about how dinosaurs became extinct! And no. It's not because of a meteor story that we are familiar with. 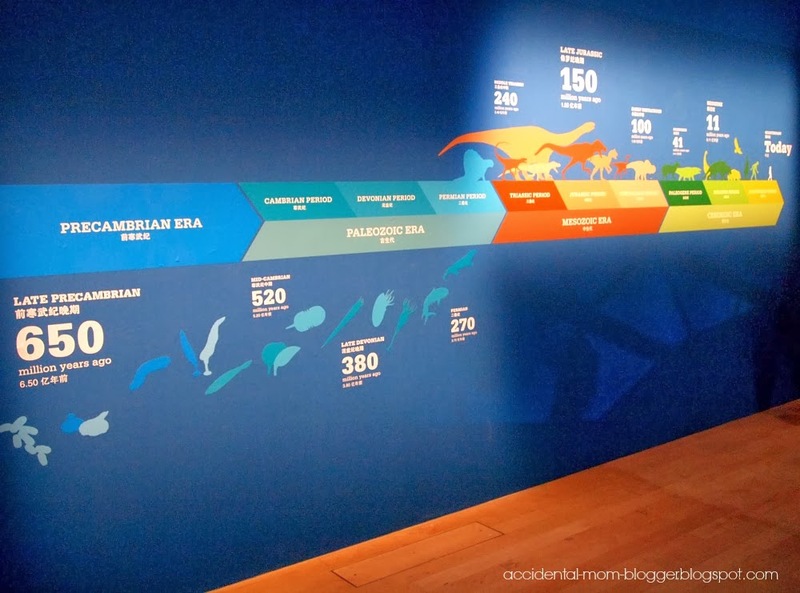 If you have dino-loving children or you are a dino-buff yourself, a visit to this exhibit at ArtScience Museum will be worth your while! The exhibit will be held till 27th July 2014. 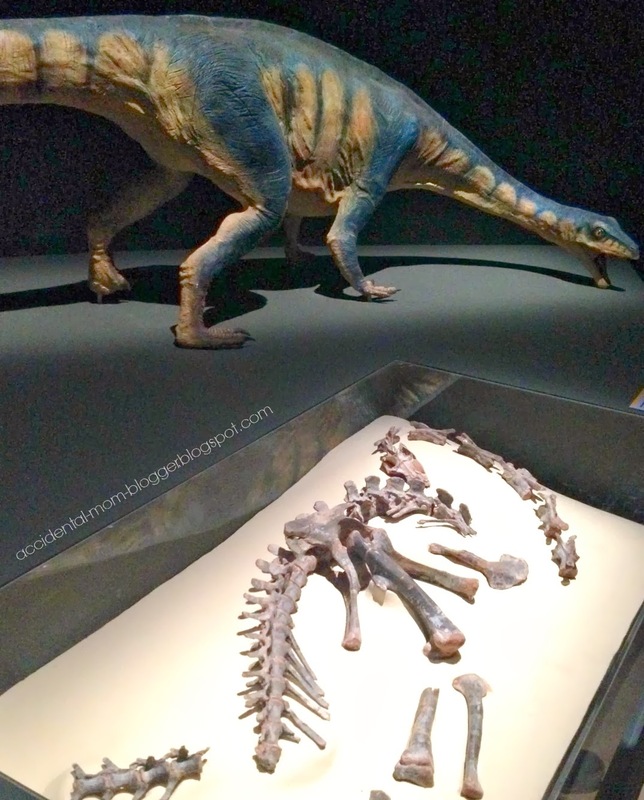 Be prepared to go through the exhibit more than once because there is a lot more to see than what I'm showing you in my post. *wink* You will definitely not be disappointed! There are numerous activities lined up for everyone in the family! Children can look forward to making their own dinosaur shadow puppets to take home or become a Paleontologist for a day! There's also fossil sketching, dinosaur tales, sculpting a soap, etc to look forward to. These are free activities for all open ticket holders. Please check with the museum directly for session timing so that you can plan and make the most of your visit. If you have no plans for a vacation this coming March school holidays, why not consider spending some time with your children at the museum? Here is an activity schedule you can consider! 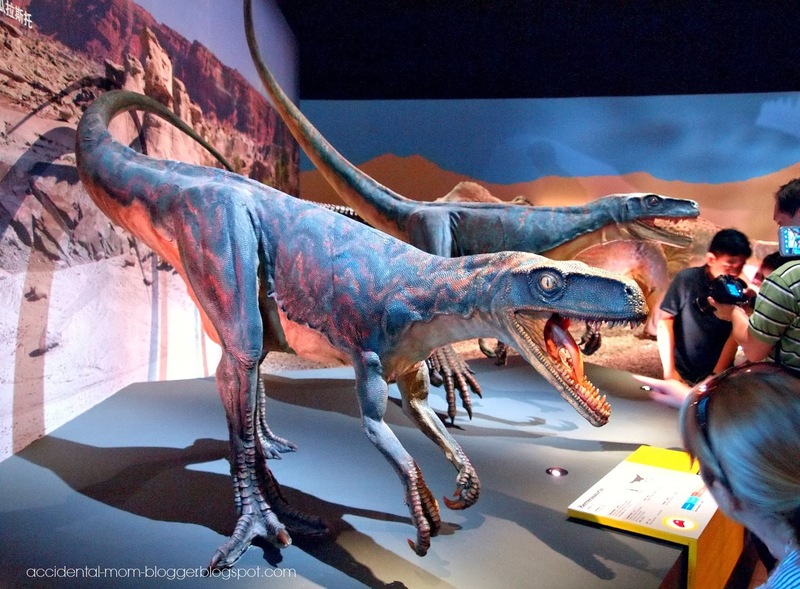 There will be a parent-child sleepover with the dinosaurs at ArtScience Museum for the week-long March school holidays on 16 and 21 March 2014. A first for the museum! It promises an action-packed night with movie screening and interactive workshops to engage everyone. S$120 per child participant (accompanying parent is free). Registration is now open and you can do so through the Marina Bay Sands ticketing hotline 65-6688-8888, online and box offices. Or call the museum +65 6688 8826 to find out more. Disclaimer : The Accidental Mom Blogger and family were invited as media visitors to this exhibit hosted by ArtScience Museum. All views are entirely my own. Information provided is correct at time of post. hahaha! So observant! Make me go look!! But it's not what you think it is. That bone helps keep it's balance.